Choosing the right kitchen surface colour can be an overwhelming task. After all, the kitchen surface plays a massive part in your kitchen’s design. You want something that won’t break the bank (or your fitter’s back!) 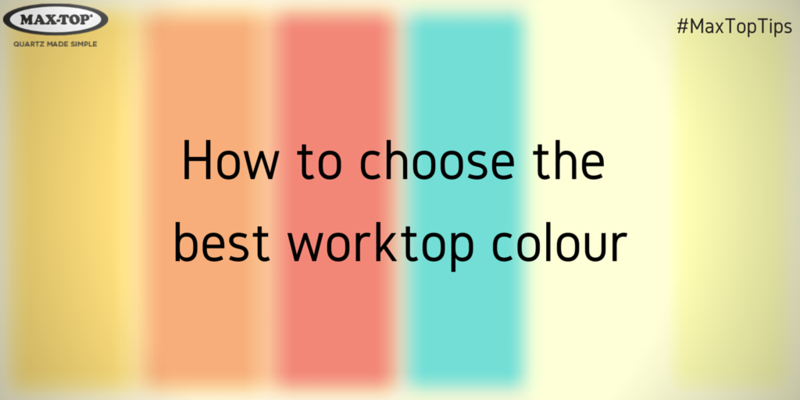 Luckily, here at Maxtop, our worktops are both strong yet lightweight and also come in 10 stunning colour options. To help you find your perfect match, we have put together these top tips to help you choose the right colour for the kitchen of your dreams. Step 1: What kind of person are you? For step one, we’re taking it back to the most important part of any home redesign – YOU. What kind of person are you? Are you bold and overt or peaceful and serene? Some people prefer bright colours and other prefer more mellow and subdued palettes, all of which entirely depend on your tastes. Here at Maxtop, we have something for everyone, from the warm tones of our ochre surface to the dazzling sparkles in our pearl white coloured surface. Lighting is a key feature in any interior design. It has the ability to make any sized room feel spacious and airy or cosy and warm with just the flick of a switch. It’s also important to note the amount of natural light in your kitchen when considering a kitchen surface colour. Lighter colours tend to make a room feel bigger and darker colours work well in larger rooms. But again, this is entirely down to your personal preference. If you are lucky enough to have a sun-drenched kitchen you may want to consider one of our sparkle surfaces as it will reflect the light beautifully. Some people like to contrast the colour of their cabinets to their kitchen surface. White and black is a popular choice and makes for a striking, modern look, or cream and brown for a more traditional feel. However, if you wanted to match the colour of your worktops to your cabinets then this will also work to create a uniform and clean look – just be sure to opt for colours that are an exact match. Don’t forget to finish off your look by choosing matching small appliances, such as kettles, toasters and coffee makers. After all, a little coordination every now and then never hurt anyone! For more information on Maxtop kitchen surfaces, please visit our website http://www.maxtopquartz.co.uk/. You can also follow us on Twitter and like us on Facebook.